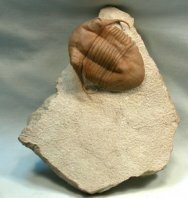 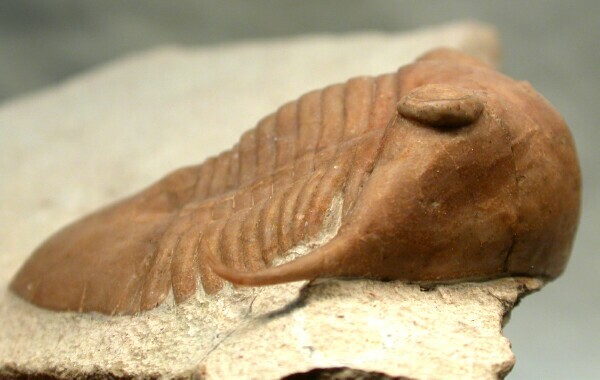 This is an example of the unusual trilobite Illaenus tauricornis. 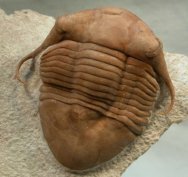 This is one of the 50-odd members of the genus, and known for the high profile of the cephalon which is thought to have aided the trilobite in ploughing through the substrate in search of a meal. 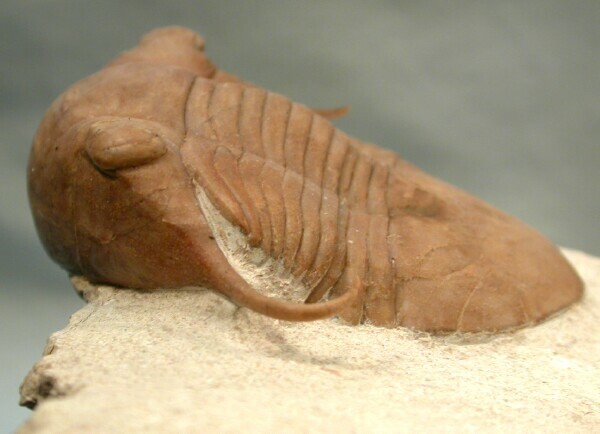 It is also one of the more dramatic members of the genus, with recurved genal spines. 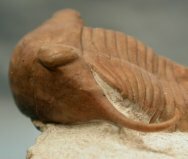 Indeed, the species epithet means "bull-horned", a quite appropriate term for this example, which is of the variety thallosus by virtue of the shape of the genals and pygidium. Typically, the large cephalon is pulled under, probably as a result of the contraction of muscles as the trilobite died. 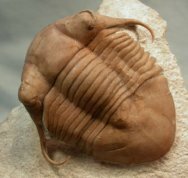 This one, however, is quite prone, with the genals prepared freestanding, making for a dramatic and uncommon presentation of this unusual taxon.